Pat Williams is the senior vice president of the NBA’s Orlando Magic. Considered one of America’s leading motivational speakers, he has addressed employees from many of the Fortune 500 companies and the Million Dollar Round Table. He has been a featured speaker at two Billy Graham Crusades and two Peter Lowe Success Seminars. He has also spoken on many university campuses. He has written numerous books, including the How to Be Like series, and his newest, Coaching Your Kids to Be Leaders: The Keys to Unlocking Their Potential. After serving for seven years in the United States Army, Pat spent seven years in the Philadelphia Phillies organization, two as a minor league catcher and five in the front office. He also spent three years in the Minnesota Twins organization. Since 1968, he has been affiliated with teams in Chicago, Atlanta, Philadelphia, including the 1983 World Champion 76ers, and now the Orlando Magic which he co-founded in 1987 and helped lead to the NBA finals in 1995. Twenty-three of his teams have gone to the NBA playoffs and five have made the NBA finals. 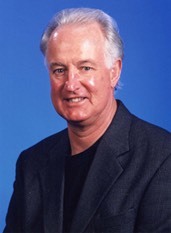 In 1996, Pat Williams was named as one of the 50 most influential people in NBA history by a national publication. In his NBA career, he has traded Pete Maravich, traded for Julius Erving, Moses Malone and Penny Hardaway, and won four NBA draft lotteries. He also drafted Charles Barkley, Shaquille O’Neal, Maurice Cheeks, Andrew Toney and Darryl Dawkins and signed Billy Cunningham, Chuck Daly, and Matt Guokas to their first professional coaching contracts. Twelve of his former players have become NBA head coaches, while seventeen have become assistant coaches. Pat Williams and his wife, Ruth, are the parents of 19 children, including 14 adopted from four nations. Pat and his family have been featured in Sports Illustrated, Readers Digest, Good Housekeeping, Family Circle, The Wall Street Journal, Focus on the Family, New Man Magazine, plus all of the major television networks, The Maury Povich Show and Dr. Robert Schuller’s Hour of Power. Pat Williams was raised in Wilmington, Delaware, earned his bachelors degree at Wake Forest University and his master’s degree at Indiana University. He has a doctorate in Humane Letters from Flagler University. He is a member of the Wake Forest Sports Hall of Fame and the Delaware Sports Hall of Fame. Pat has completed forty marathons, including the Boston Marathon 11 times, and also climbed Mt. Rainier. He is a Civil War buff, weightlifter and baseball fan. DISCLAIMER: PFP Sports Talent Agency does not claim to represent itself as the exclusive agent for Pat Williams. PFP Sports Talent Agency is a booking agency that represents organizations seeking to hire pro athletes and sports personalities such as Pat Williams for speaking engagements, personal appearances, product endorsements and corporate entertainment. Fees on this website are estimates and are intended only as a guideline. Exact fees are determined by a number of factors, including the location of event, the talent’s schedule, requested duties and supply and demand. PFP Sports Talent Agency makes no guarantees to the accuracy of information found on this website and does not warrant that any information or representations contained on this website will be accurate or free from errors. We are often asked how can I find out who is Pat Williams's agent? To find Pat Williams appearance fees and booking agent details, you can contact the agent, representative or manager through PFP Sports Talent Agency for speaking fee costs and availability. PFP Sports Talent Agency can help your company choose the ideal sports personality for your next marketing campaign. To hire Pat Williams for an appearance, speaking event or endorsement, contact Pat Williams's booking agent for more information.